All existing UK players at Ace Lucky Casino the have the chance to get this great bonus. Log into your account and deposit minimum £10 with the code PANDA2. Upon deposit, you get 10 spins. 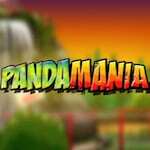 These extra rounds are valid on Pandamania, one of the best slots in the industry. Cash out your winnings only after you’ve wagered the bonus amount 50 times. Claim your offer and enjoy the fun!